I recently started an Apocalypse World campaign with some local friends! 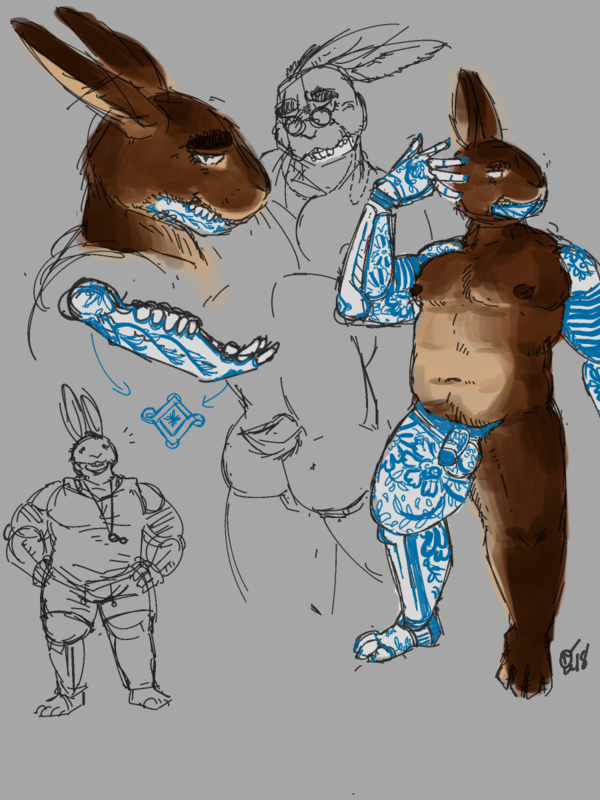 I’m working on a Belgian Hare “skinner”-class character (Nils “Nasty” Rodriguez) that’s mostly prosthetic, with said prosthetics designed to look like blue/white floral china. He’s also a ceramics worker. Our group also consists of a rogue robot named Rainbow, a doctor made of worms, the future god of Amazon workers, a gorgeous cenobite, and a crab android. So: not the weirdest, necessarily. For now.